Tony Penn is the Owner of The Alternative Board (TAB) in Orange County CA, a peer advisory board centered on working with business owners and CEO’s to boost their business. 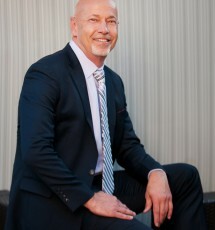 Drawing from his more than 20+ years’ experience in the restaurant and hospitality industry, this innovative thinker tackles human resource issues, implements sales building techniques, prepares exit plans, and cooks up strategies that achieve stratospheric results. Tony has a reputation in the restaurant industry as a trail blazer having created, opened, and implemented a variety of long standing and ground breaking concepts. He launched the first Outback Steakhouse brand in California, helped create and expand the Buca di Beppo concept, franchised and scaled the Counter Burger franchise, and partnered with Food Network star Aarón Sanchez to introduce several successful ventures. While a Service Manager at Chi-Chi’s at age 26, Tony reached his “aha” moment: force-fed management doesn’t work, but collaboration does. Sharing problems, brainstorming solutions, and working together cements loyalty which builds a lasting culture of trust. The ultimate result? Brand loyalty and better margins. As a former Chief Operating Officer at Trifecta Management Group, Tony was in charge of creating new concepts, managing multi-million dollar budgets, and assessing concept feasibility. Most importantly, he was a hands-on manager responsible for bottom-line profitability. This executive role allows him to analyze and solve a wide variety of business problems facing other business owners. A name is not enough to gain traction and profitability in the business world. In working with celebrity chef Aarón Sanchez, Tony masterminded the agreement with House of Blues to leverage the Chopped star’s brand and infuse the entertainment empire with his recipes. He also was on the ground floor with the chef designing and implementing the Mestizo, Johnny Sanchez, and Paloma concepts. Throughout his work with TAB members, he continues to scour opportunities to boost their brands. Working in the feverish pace at restaurants taught Tony to keep his cool regardless of the situation. He’s diffused knife fights without bleeding a drop and has overcome every type of natural and manmade disaster without blinking an eye. Solid facilitation, calm under pressure, and unwavering fairness remain a critical component of Tony’s leadership DNA. This recipe for success is what inspired Tony to establish the Orange County franchise of The Alternative Board(TAB). Its concept of peer collaboration along with business and personal coaching is consistent with his philosophy and values. His greatest joy is helping others achieve success, however they define it. Having lived in New York, Los Angeles, Pittsburgh, Erie, Vegas, Cleveland, Princeton, and Tucson, this San Diego-native has returned to his Southern California roots. Living with his teenage daughter, he now calls Newport Beach home.